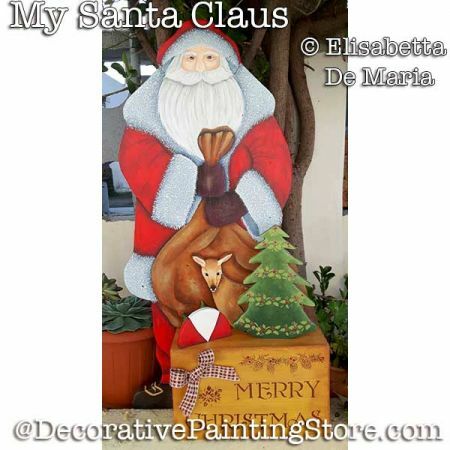 Painting ePattern Tutorial called a My Santa Claus... standing Santa with bag of toys, Christmas tree, and reindeer. Drawing is approx. 7"x11". Enlarge or reduce to fit a surface of your choice.